Today I managed to shrug off my time-management-deficiency guilt from yesterday and just be productive. Of course, not having to drive 335 miles today, most of it in the rain, helped both my time management AND my mood. It was a lovely day. Back to my morning. Conference (and book) details, communications, and posts plus a nice walk finished up the morning hours. 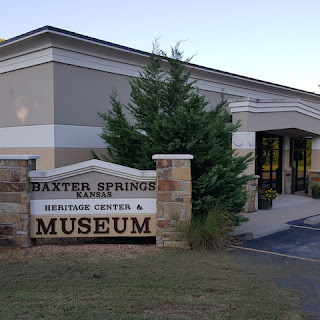 This afternoon I spent at the delightful Baxter Springs Heritage Center, happy as a clam down in the basement archive room. They have a treasure trove down there and Museum Director Linda Kennedy, who has been a great supporter of our book project, went off to take care of her own work and left me happily digging through files, document boxes, and 3-ring binders. At closing time, I left my carefully organized stacks in neat piles, chatted with Linda a minute, and headed out. 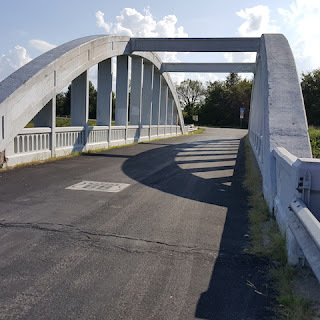 I made one of my favorite stops, at the famous Marsh arch bridge, for a couple photos. 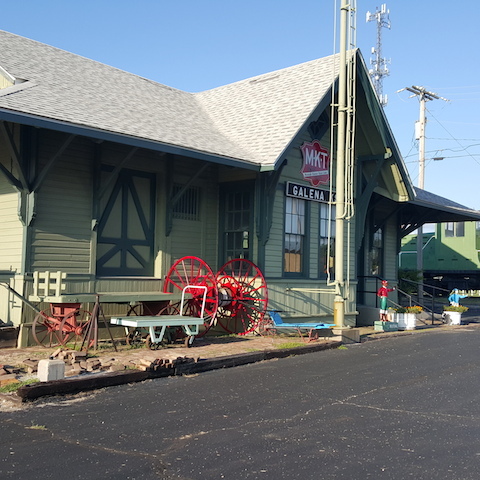 Next it was on to the Galena Mining and Historical Museum, where Fred Billingsley met me to let me in, help me find the last short list of photos to scan, and make some phone calls to help locate a photo. 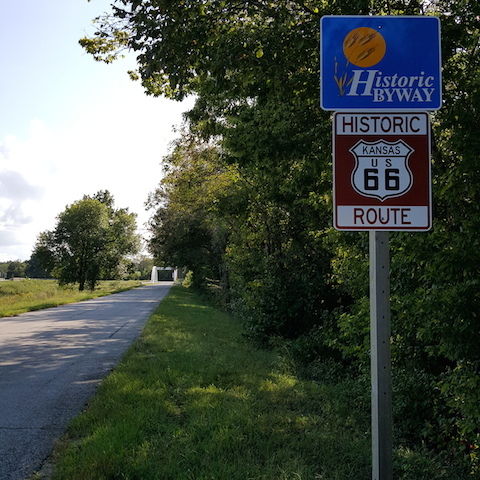 Fred, like Linda, has been a huge supporter of Joe's and my Kansas book project, and Joe and I appreciate them both so much. I enjoyed the drive back to Miami, made a stop for some food, and settled in for an evening (well, what was left of it) of work on the book, this post, and another glass of that St. James Winery "Friendship School White." Helps the productivity, you know.